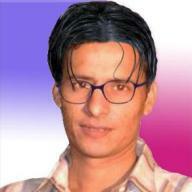 Hi, my name is Zulfiqar Ali and I am from the South Asian Country of Pakistan. I am the founder and admin of this Blogging Website. I have being blogging on various topics like Interesting Stories, Online Business, Tips and Tricks on multiple topics, Poetry in my national language and etc. It is my second time to creating this blog for you. As before I could not completed and published my blog successfully due to lack of knowledge. And now, I have leaned a lot about Blogging and again decided to make a new and fresh blog for you. In this blog you will find some cool and interested topics or niche. In short, I am basically working with a small firm which is a famous Custom’s Imports Shipping, Clearing & forwarding agency. My hobbies are Puzzle, PC Hardware and Software, Reading, Chatting, Fishing, True Friendship, Sad Songs and Learning the New Ideas & things. I like newbie to help about blogging and all other things I know. If you like to have some chat or one on on discussion, then simply email me without any delay. Thanks for your nice comment. I hope you will again visit my blog and inspire me.